Mark completed his foundation course at LAMDA at Easter. 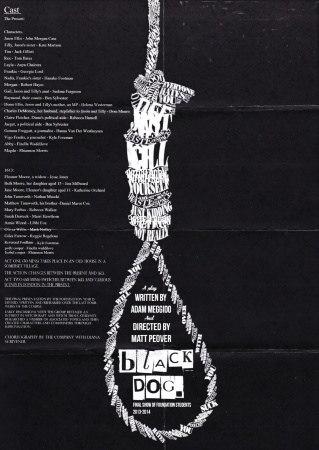 The final flourish was the performance, in front of family and friends, of a play written for the students, Black Dog. 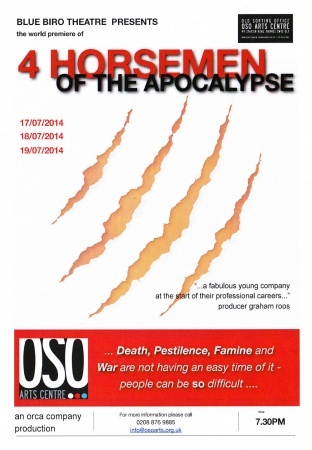 In July, a number of the students got back together to perform one of their own plays, 4 Horseman Of The Apocalypse, this time to a paying audience at the OSO Arts Centre in Barnes.